You can add this to the list of things I feel I am bound to mess up. 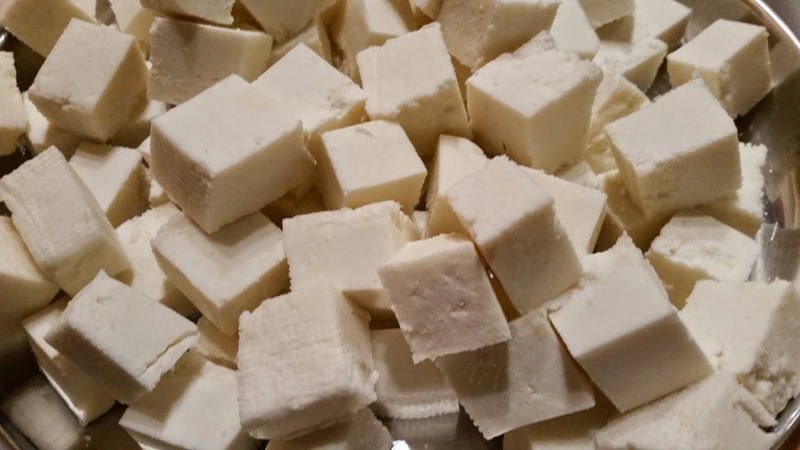 And whenever I was able to pull off something with paneer, it was barely edible! 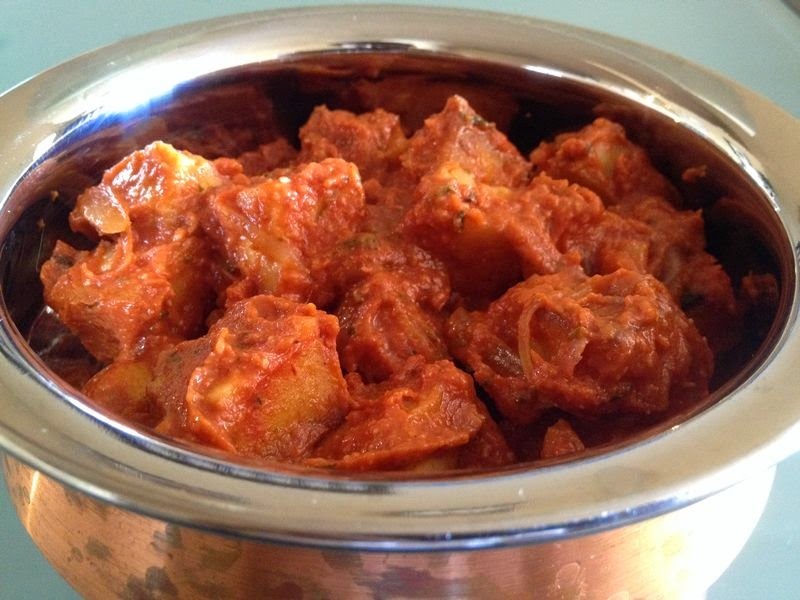 So I was never keen on cooking with it until a friend forwarded me this recipe, since then I have been confidently preparing paneer butter masala. 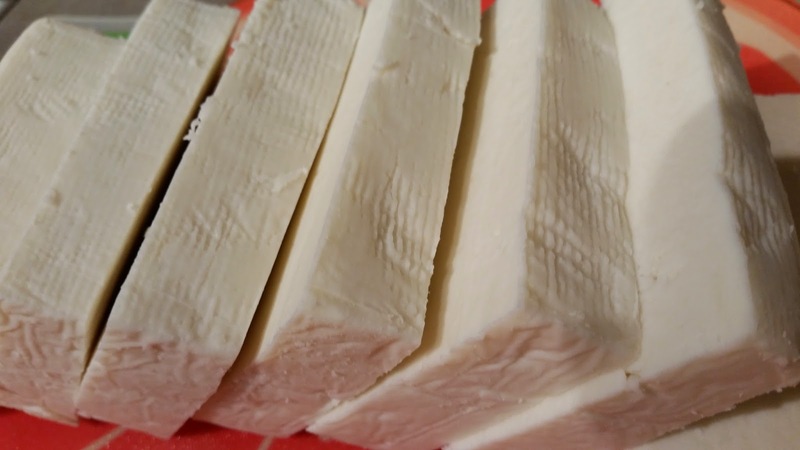 This dish is too easy to cook, and yummy! 1. 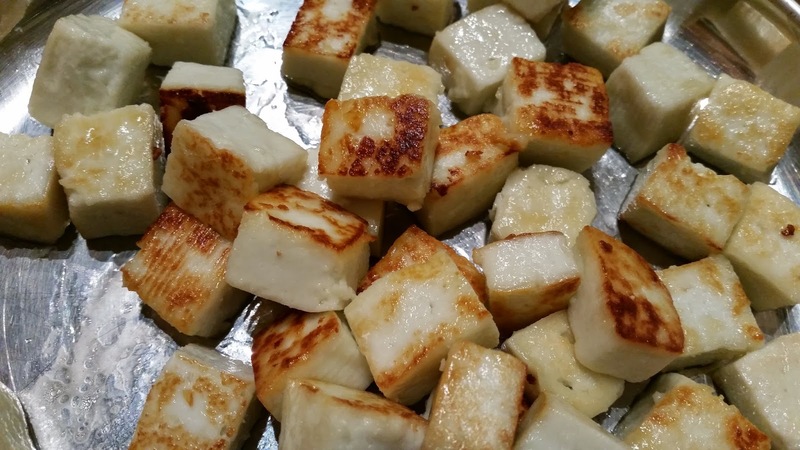 (Optional) Heat butter, and oil in a skillet, gently fry the paneer cubes in batches, and remove from skillet. 2. 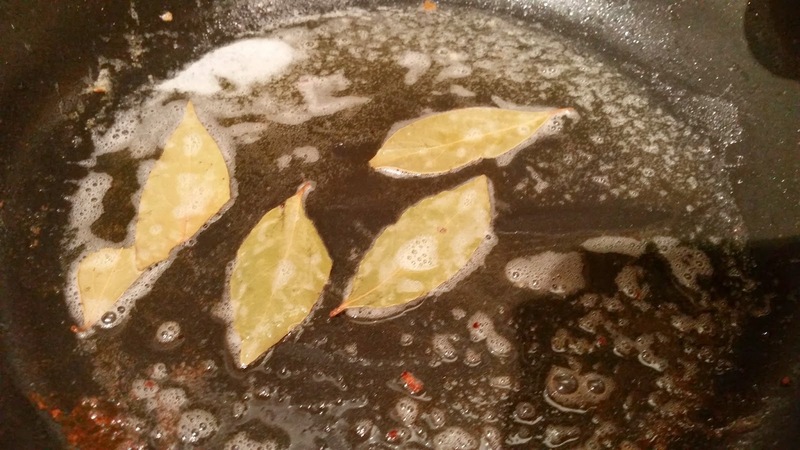 Add the bay leaves to the skillet, after it turns slightly brown on the edges, add the ginger garlic paste and green chillies. 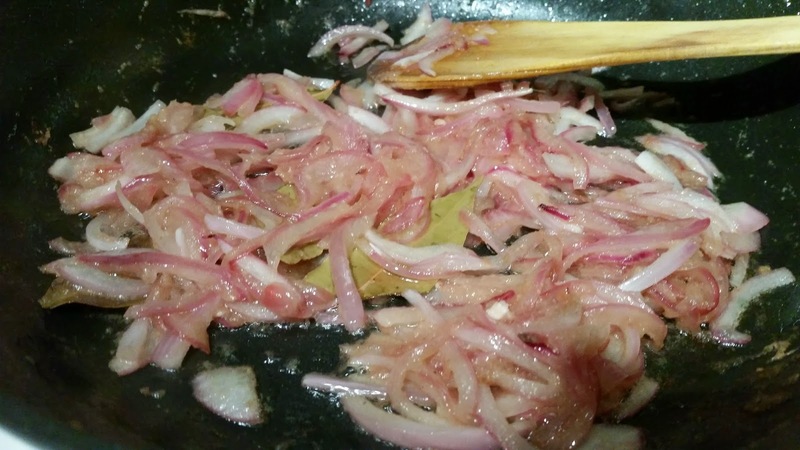 Once the garlicky smell is gone, add the onion slices and about 1 tspn of salt. 3. 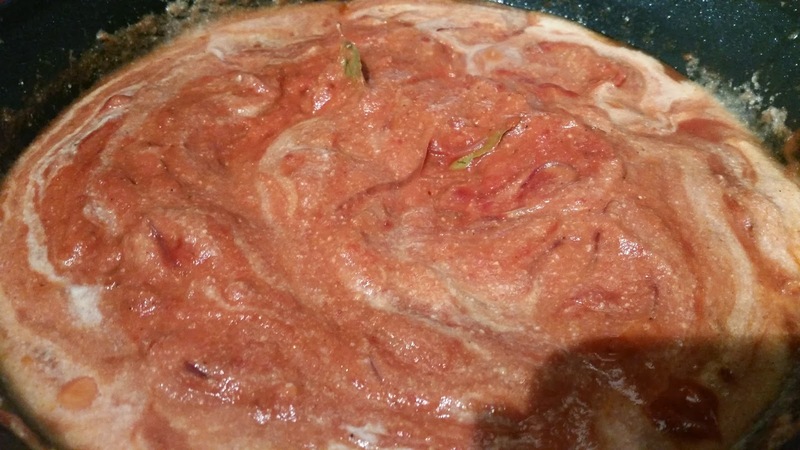 Once the onion slices are fully transparent add the tomato paste, and 1 cup water, and mix it all together. 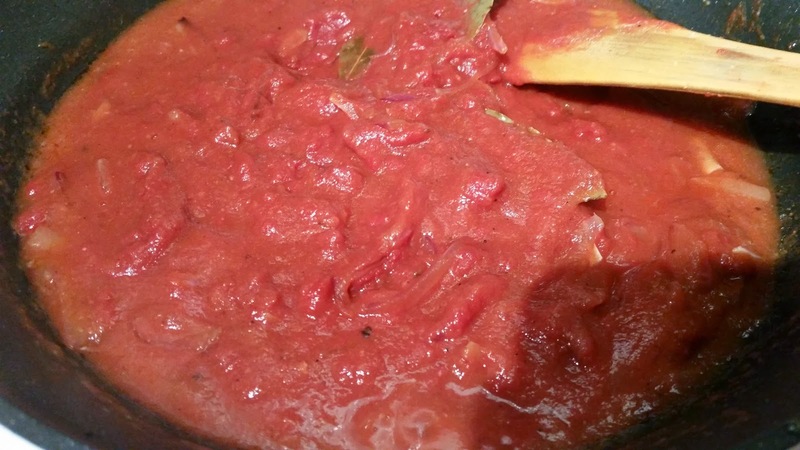 Add garam masala. 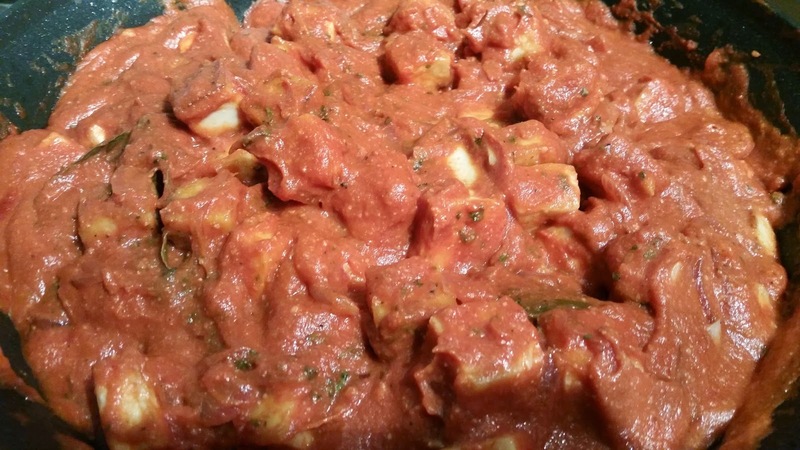 Grind the cashews with about ½ cup water, and add it to the tomato paste. 5. 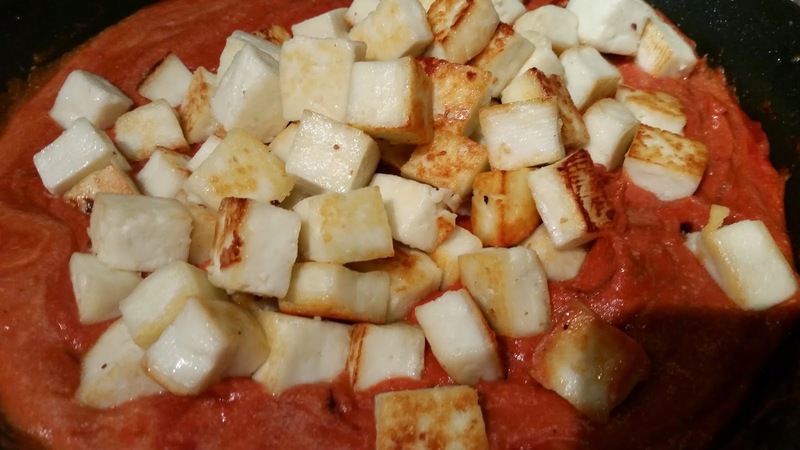 Then add the paneer cubes, mix it all together. Add about 1 tbspn of kasuri methi dry powder, and let it cook for 1-2 minutes, and turn off the heat. 6. 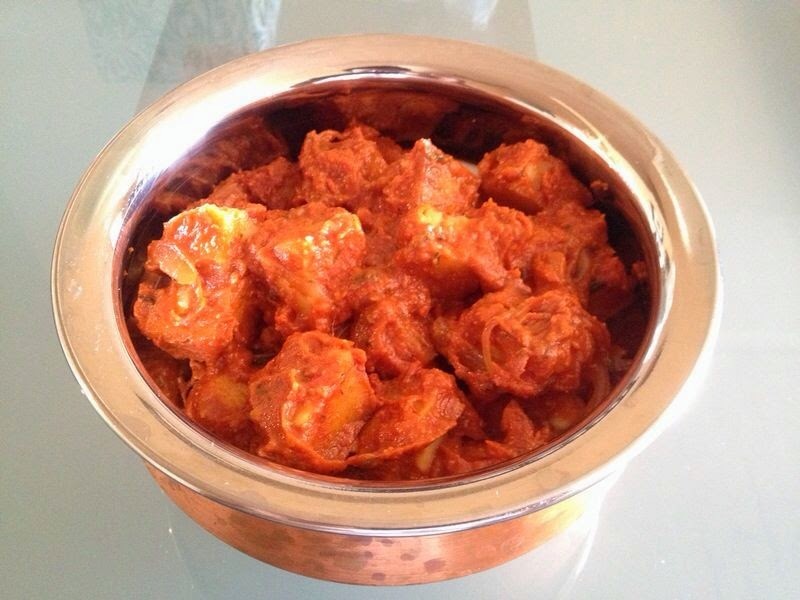 Enjoy paneer butter masala with naan or chapathi or anything you would like!